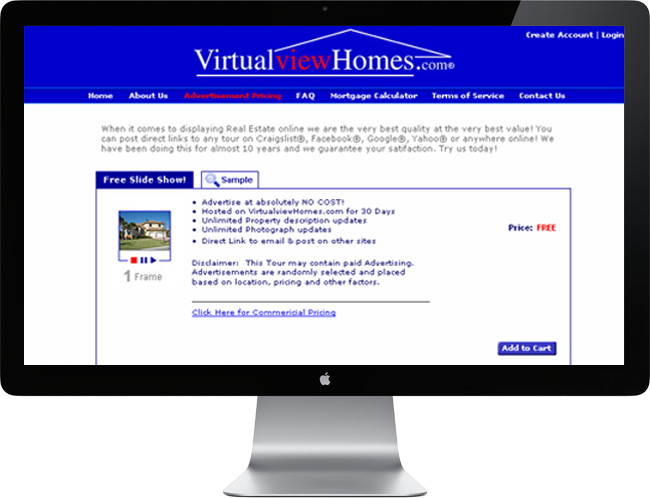 Virtual View Homes is a Premier website for advertising and viewing Real Estate Properties. 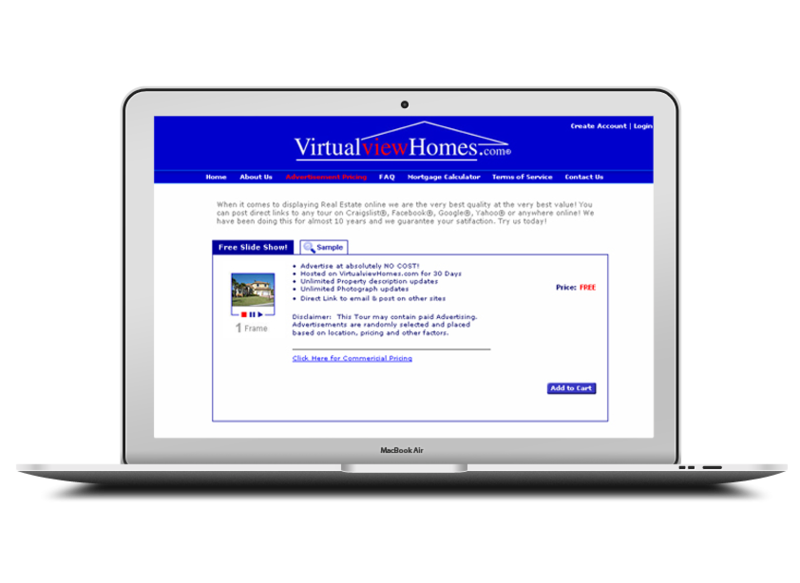 The website showcasing properties for sellers by presenting potential buyers with attractive Slide Shows or Virtual Tours that provide the best interactive viewing experience. We have developed a search functionality for buyers. Buyers can search with n number of criteria, for example minimum and maximum range of property, property type, city, state etc. Buyers can see slideshows and virtual tour of searched properties.